15. 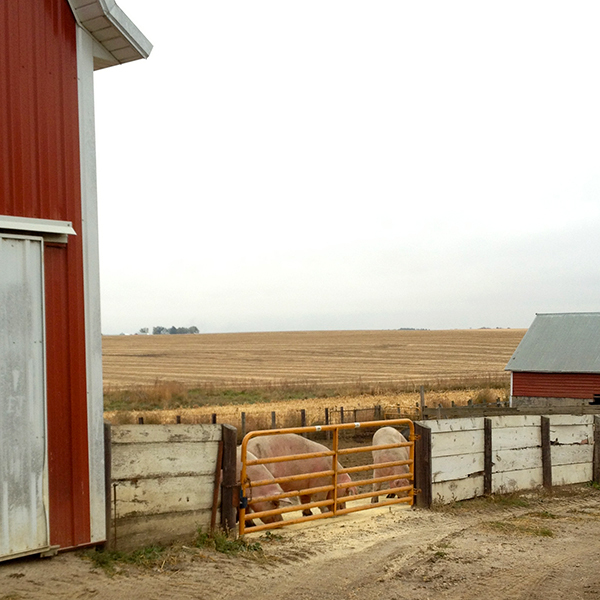 Visit an open air hog farm. I support a farmer’s choice to raise animals the way they want (as long as they’re healthy and well cared for), and I’d like to experience how the other half lives. 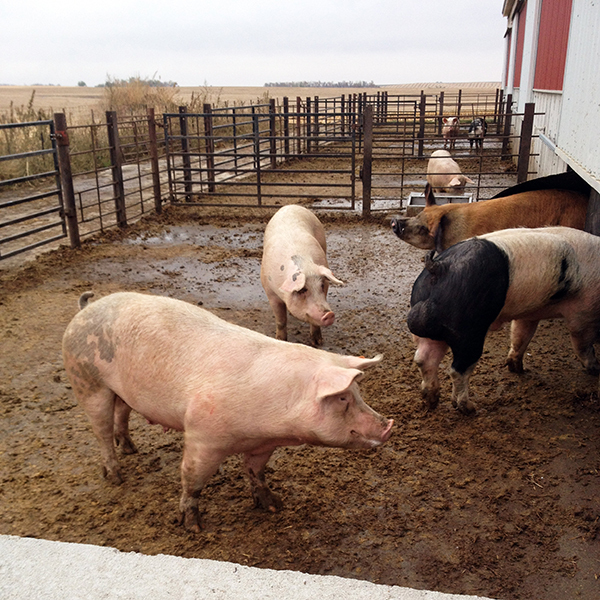 Most of the hog barns we visit are modern indoor facilities. Confinement, some call it. 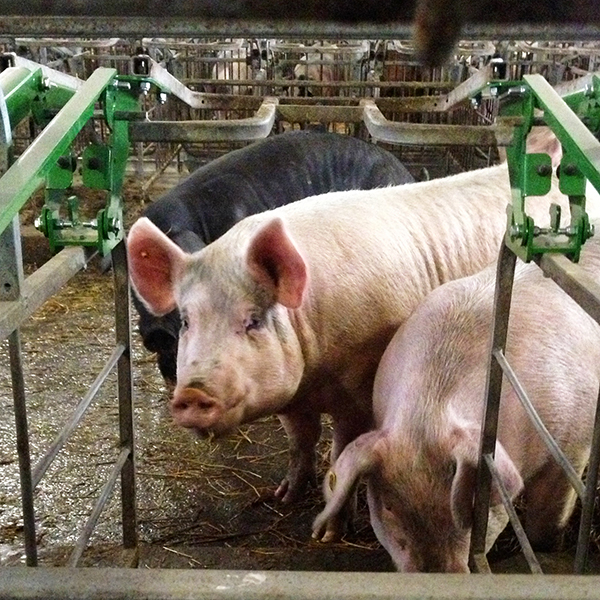 90% of all pork is raised indoors, in fact. And these indoor homes are actually pretty comfortable – they’re temperature controlled all year, the pigs are protected from sunburn (yep! 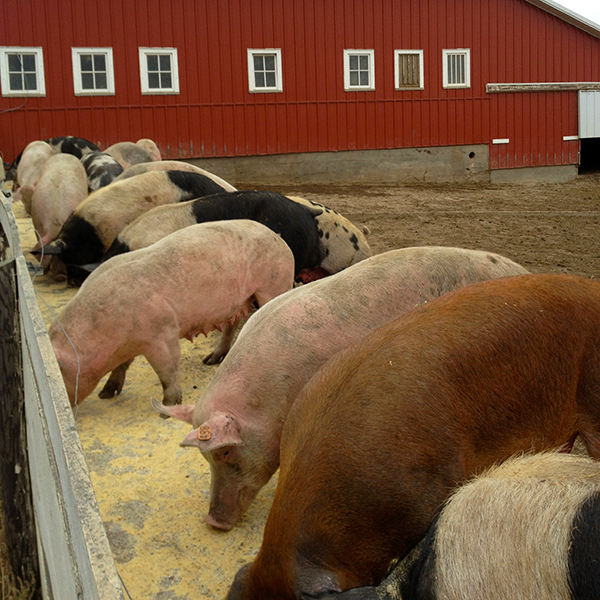 ), other weather elements, pests and predators, and fields are protected from the damage that pigs cause, and their valuable manure is easily collected for fertilizer. There are some benefits to raising hogs outdoors, but I had never been on an outdoor site before. We happened to visit a unique sow farm and finishing site a few weeks ago that combined some of the best of both worlds. 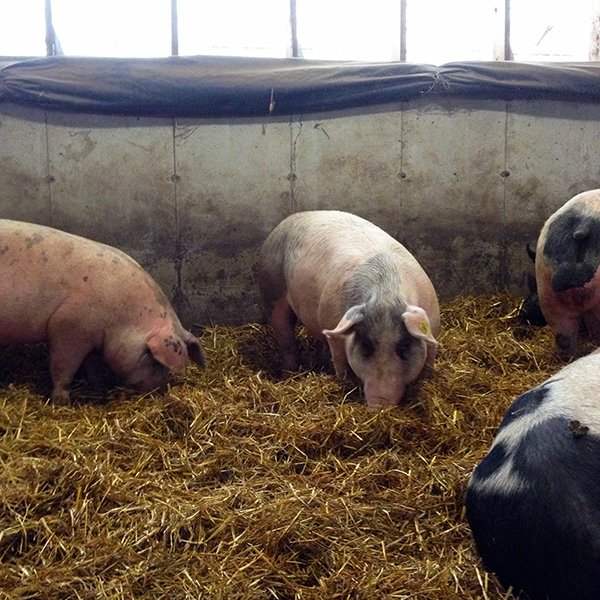 The sows were in large group rooms, fed in Freedom Stalls, and had some straw bedding and outdoor barnyard access. 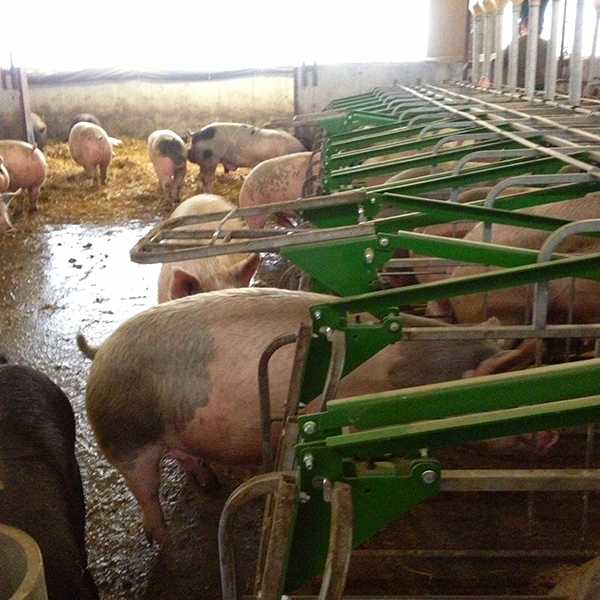 This particular grower thinks the sows produce better with the varied living conditions. 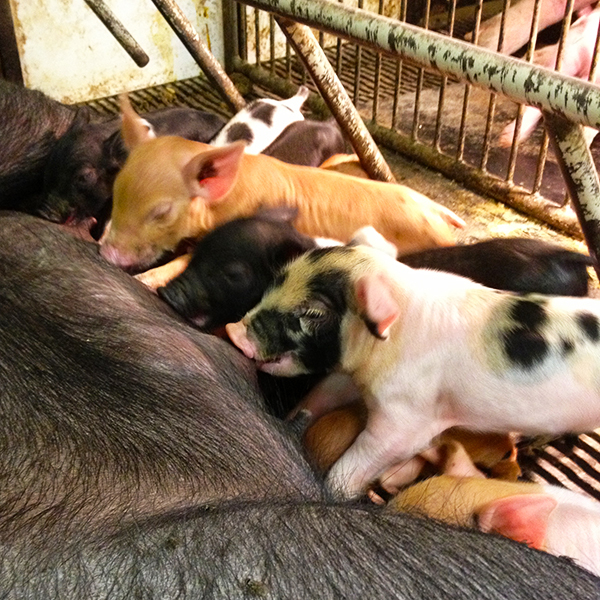 He also finishes some hogs outdoors (with on-the-ground feeding), but farrows inside in individual crates, and his nursery pigs live indoors in “typical” nursery pig housing. 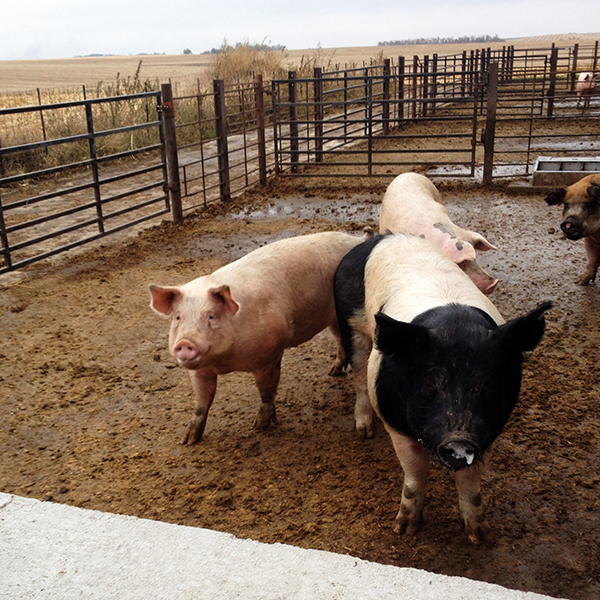 I definitely thought his pigs looked healthy and well cared for, which is great, but mostly I’m glad that growers have the option to choose which strategy works best for him or her. This entry was posted in 33 before 33, Uncategorized on 11.19.13 by awastell.